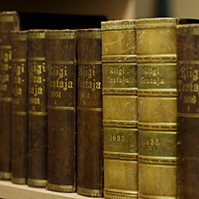 At Wednesday’s sitting of the Riigikogu, the Bill on next year’s state budget with the volume of 9.57 billion euro passed the second reading. In comparison to this year, the state budget expenditure will increase by 650 million euro, by 7.3 percent. The aim of the budget is to strengthen Estonia’s security, promote economic growth, improve the welfare of low wage earners and families with children in order to support the birth of children, and to reform the state and local administration through budget policy. The Chairman of the Finance Committees Remo Holsmer gave an overview of the major expenses and explained the constitutive principles of the budget. “This budget has been drawn up in observance of the principles of responsible budgeting, and it is in a 0.2 per cent structural surplus. This means that, with this budget, we will not live at the expense of the future,” Holsmer said. He expressed a hope that the principle of a balanced budget would be adhered to also in the future. “In any case, I confirm that the leaving coalition transfers well-kept public finances, and transfers a very carefully drafted next year’s budget,” Holsmer said. 24 motions to amend the State Budget of 2017 Bill (303 SE), initiated by the Government, had been submitted. The Finance Committee had drawn up a proposal consisting of several specifications and amendments in the areas of governments of ministries. The 23 motions to amend submitted by the factions and members of the Riigikogu were not supported because the sources for covering them were unsuitable and unjustified. Andres Ammas, Külliki Kübarsepp, Tarmo Tamm, Krista Aru, Terje Trei and Laine Randjärv took the floor during the debate. Andres Ammas criticized the fact that the Finance Committee had not taken into account any of the motions to amend submitted by the Riigikogu factions. 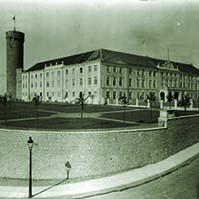 Külliki Kübarsepp criticised the rejection of various motions to amend. Tarmo Tamm expressed his delight that the current coalition would be replaced with a coalition who asks how to stimulate the economy and how to support Estonian agriculture. He confirmed that the answers would come before the third reading of the Bill on the state budget. Krista Aru criticised the process of the proceedings on the Bill. Terje Trei called on MPs to think how to distribute the 20-million support to farmers. Laine Randjärv expressed a hope that funds for the organisation of the song festival “Gaudeamus” in 2018 would be found in the state budget. The deadline for submission of motions to amend the Bill on next year’s state budget for the third reading is 30 November 2016. 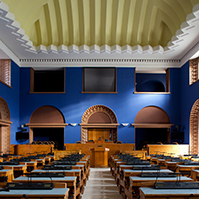 Today, the Riigikogu approved with 68 votes in favour (4 against, one abstention) the Act on Amendments to the Waste Act (257 SE), initiated by the Government, which is intended to encourage local governments to engage more in the development of collection of waste by type and sorting of waste. Support from the state budget will also be provided for that. Collection of waste by type allows to promote recycling of waste, as mixing of waste is prevented and there is no need to separate it later for the purpose of recycling. At the same time, collection by type also ensures a better quality of secondary raw materials, and efficiency of recycling. These obligations require that local governments and the state implement relevant measures which means rearrangements in the activities of waste holders. It is the task of the local governments to ensure that waste holders have a clear obligation to sort waste and to collect waste by type, and residents have an opportunity to also dispose of waste by type, in the territory of the local government. For that, local governments will be given support from the state budget to partially cover the waste management costs. In the course of the proceedings on the Act, ten amendments had been made in it. On the proposal of the Environment Committee, the system for payment of the state budget supports allocated for waste management in larger cities was made more flexible. Upon payment of the support, a decision will be made separately for every transport area. For that, a procedure for submission of data has been laid down which will be the basis in the payment of the support. Effective functioning of the system of waste collected by type and sorted will be the criterion. To encourage local governments to develop collection of waste by type and sorting of waste, 2.2 million euro are planned to be allocated to them in next year’s state budget. Of that, 640 000 euro will be for supporting the development of the system of collection of waste by type and sorting of waste in Tallinn, and 150 000 euro for Tartu. According to the general objective, use of the waste collection station service as conveniently as possible must be ensured to residents in all local governments. All amendments planned with the Act proceed from the EU target to recycle at least 50 per cent of household waste by 2020. The Bill on Amendments to the Marital Property Register Act and Amendments to Other Associated Acts (maintenance of the marital property register and making of entries) (258 SE), initiated by the Government, will ensure that data are up-to-date in the marital property register (i.e. data are available in the register immediately after the performance of the act that is the basis for the data), preclude double processing of data, enable full availability of the service from one contact point, reduce the expenditure of the state on the maintenance of the marital property register, optimise working processes and make the processing of data more secure. The amendment will transfer the competence of making marital property register entries from the land registry department to notaries and registry officials. The person who performs an act could make a relevant entry already on the day on which the act is performed or on the next working day at the latest, which would ensure better quality of registry data with up-to-date data. The marital property register is a state register for the registration of proprietary rights provided for in the spouses’ marital property contract and, in the cases provided by law, other proprietary rights. The marital property register is maintained fully electronically as of April 2014, and all registry cards are available electronically publicly. The aim of disclosure of the data is to allow third persons to obtain information on the proprietary relationships between the spouses, and the rights and obligations arising therefrom. The marital property register is a judicial register into which assistant judges make entries on the basis of a notarised application of the spouses or in the cases provided by law on the basis of a notice submitted by a registry official of a vital statistics office or notary. The Bill on Amendments to the Gambling Act (260 SE), initiated by the Government, will create the possibility for perpetrators of betting frauds to be punished pursuant to criminal procedure. An example of betting fraud is a case where athletes bet on a previously agreed result, like the victory of opponents, and try to deliberately lose. On the basis of judicial practice, today such frauds are punishable only under misdemeanour procedure. The Bill introduces amendments to the necessary elements of a misdemeanour, and provides that misdemeanour proceedings are applied only in the cases when the necessary elements of fraud provided for in the Penal Code are not present. The Riigikogu supported the two motions to amend the Bill, submitted by the Economic Affairs Committee. Chairman of the Economic Affairs Committee Toomas Kivimägi said that the Bill will make an exception for ships carrying passengers across the state border, so as to allow for organisation of lotteries with the value of the prize pool of up to 1000 euro. Kivimägi explained that, as of 1 January this year, the provision of the Gambling Act had entered into force that allows organisation of lotteries with a prize pool of less than 1000 euro only once a week. Another motion to amend will amend the Gambling Act in order to preclude a possibility where gambling operators with the right to organise a toto could design a gambling game in which the results of the lottery are the event bet on by the player. 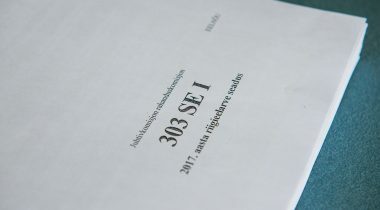 The Bill on Amendments to the Working Conditions of Employees Posted to Estonia Act and Other Acts (256 SE), initiated by the Government, will transpose the relevant EU directive concerning improvement of the terms and conditions of employment of workers posted to Estonia in the framework of the provision of services. The Bill provides for the responsibility of local contracting entities in the payment of wages to posted workers in the construction sector. A constructor will have the right to demand payment of wages from the local enterprise if remuneration has been ordered by a court decision from the employer who posted him or her but it is impossible to collect it within six months. 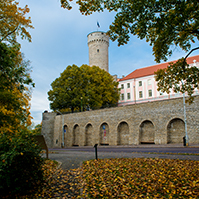 A remuneration claim will be limited to the minimum monthly wage in Estonia. The Bill will simplify state supervision. The Bill will provide for the procedure for cross-border notification of penalty payment and for presentation of penalty payment for collection. The Labour Inspectorate will be the implementing agency in Estonia in the context of posted employees. In the future, the Act will not be applied to workers arriving from third countries who can enter the Estonian labour market on the basis of the Aliens Act. 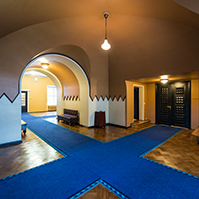 The Riigikogu supported the four motions to amend submitted by the Social Affairs Committee, which will give the Labour Inspectorate the administrative supervision obligation, in addition to state supervision. 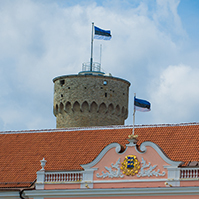 The Bill will be amended by adding a provision stating that the employer of an employee posted to Estonia will submit the data on the posting and the posted employee to the Labour Inspectorate by e-mail. The scope of regulation of the Bill was also specified. 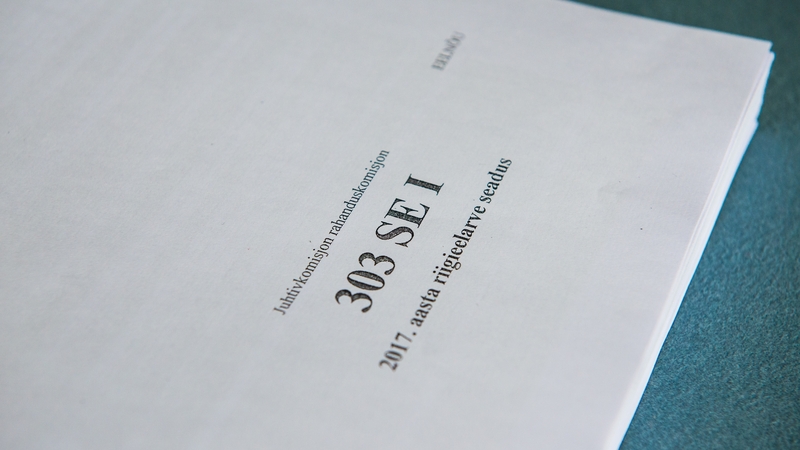 The Riigikogu supported the two motions to amend submitted by the Social Affairs Committee. The first amendment provides that a person will have the right to receive the pensioner’s benefit if another person residing in his or her place of residence as entered in the population register is his or her guardian or ward. However, if other people have been registered in the place of residence of the guardian or ward as entered in the population register, the guardian or ward will have no right to receive the benefit. Another motion to amend points out a specification according to which a person is deemed to be a pensioner living alone also in the case when his or her minor child, or his or her child who is not older than 21 years and is acquiring basic, secondary or higher education or is enrolled in formal vocational education as an adult, lives together with the person in his or her place of residence as entered in the population register.